Summer is here and the wedding season will now soon be dulled down. However, that doesn’t mean that there aren’t any weddings happening in the summer. 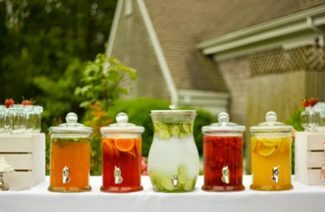 If yours is to be this season, you need to keep the wedding as soothing and refreshing as you can manage. The décor, the arrangement, the theme; everything should be tasteful without being too flashy. 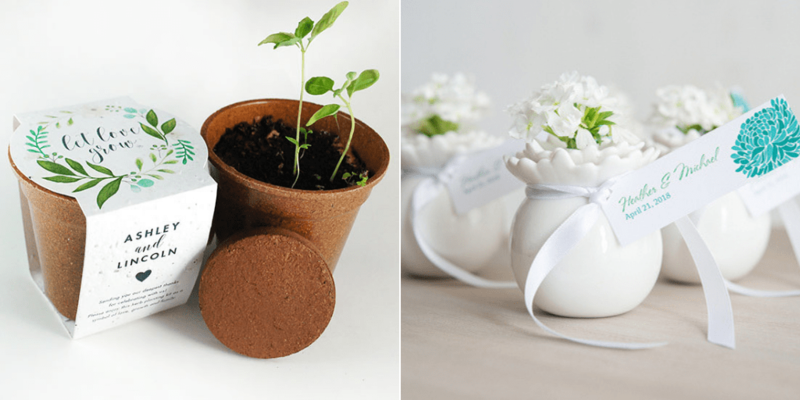 You can fill tiny pots with herbs, and label them to offer them as favors at your wedding. Herbs like Basil, Mint will make for refreshing favors, this summer season. Label them and offer them to your guests as a keepsake. You can paint the pots with lively colors to include them in your wedding palette. Or you can just paint them in random patterns to offer your guest a colorful range to choose from. Another way to go about this is to perennial bulbs that can be both planted or put up near a windowsill. Tie them with a pretty, happy ribbon to give them away as wedding favors. 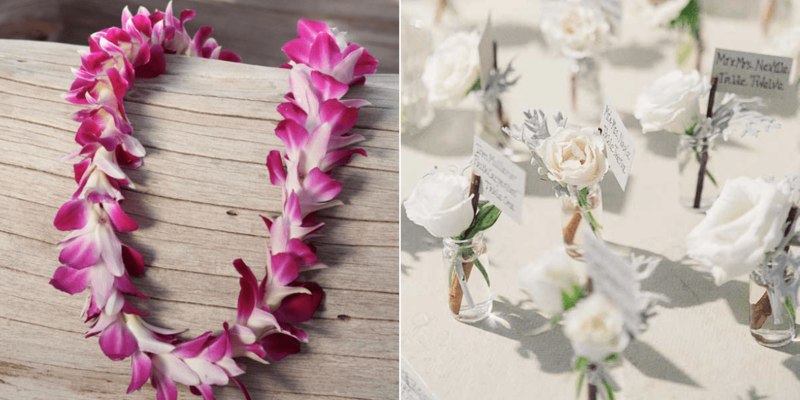 A beach destination wedding will not be complete with fresh leis handed out to guests. You can hand them over as your guests arrive at the wedding or you can give them out on reception to get the festive mood going. 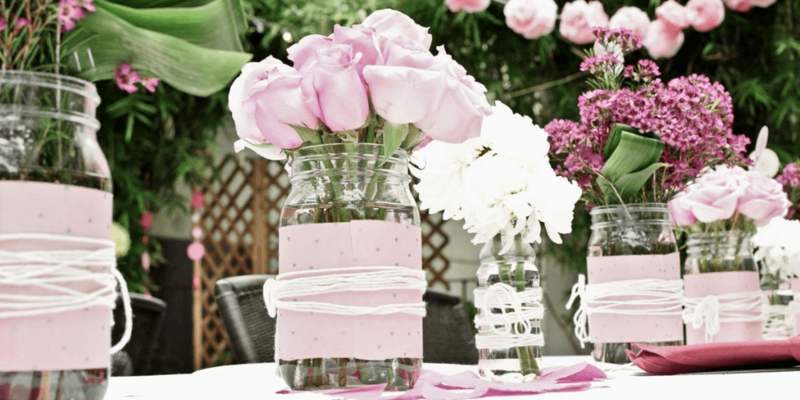 You can also use meaningful blooms and offer a variety of them at your wedding. You can attach a card that explains the significance of a special blossom. If you have a particular favorite flower, but cannot buy the pots of them as your wedding favors, you can also get the seeds. Fill small packets, or jars with seeds of your favorite herbs, or flowers. Wrap them beautifully, with a label and you are all set. You can also add love quotes and poems about harmony, nature, and growth into these packets to give them the right romantic touch. If your friends and families have literally inclinations, a pressed flower DIY bookmark is the best favor you can hope for. 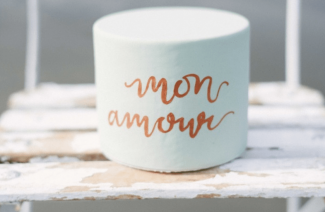 For an even more unique idea, you can gift your guests flower petal infused soaps, boxed in a custom created box that matches your wedding theme or has your couples’ initials. 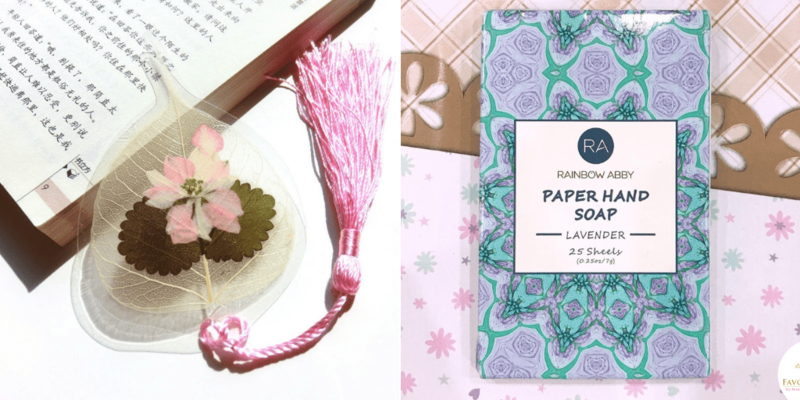 Then there are the usual organic soaps and other bathing products that will be popular wedding favors, but that’s a topic for another time. 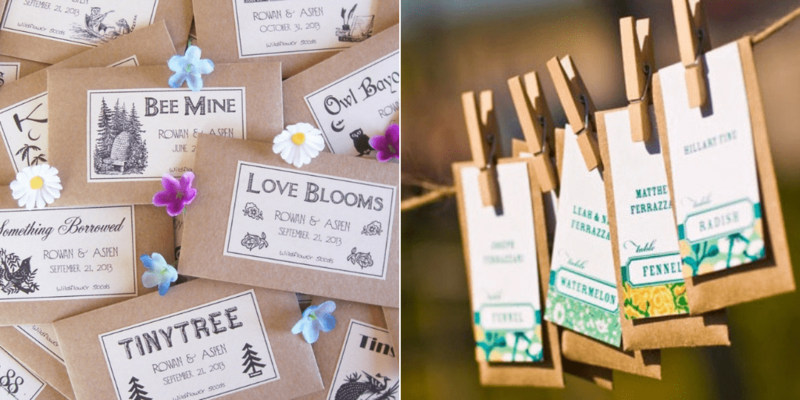 Enjoy these garden themed wedding favors to set a unique precedent this wedding season. Favors to symbolize your vow to walk through flowers and thorns together!